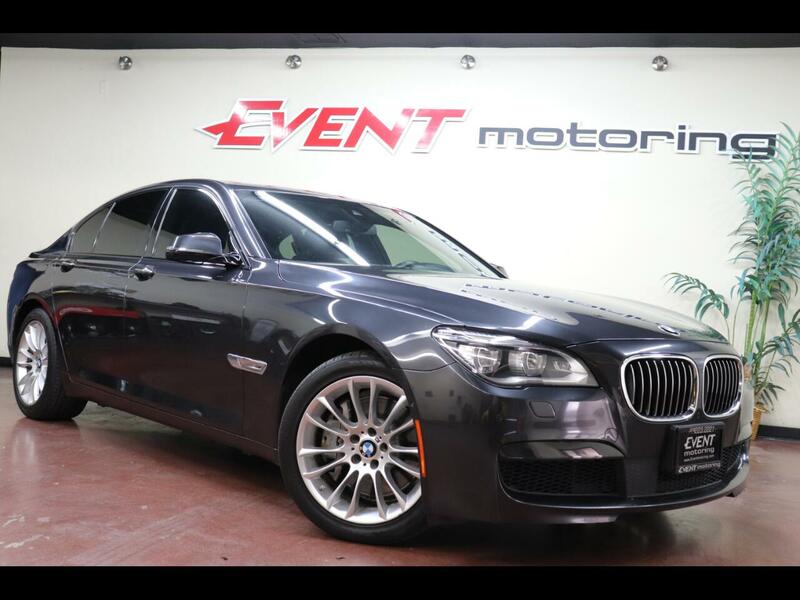 THIS IS THE BEAUTIFUL 2015 PRE OWNED BMW 750i !!! BMW's flagship 7 Series is a full-size luxury sedan that competes with top-line luxury cars like the Audi A8, Jaguar XJ and Mercedes-Benz S-Class. This luxury sedan seats up to five friends ! EVENT MOTORING CAN FINANCE ANYONE !!!! RATES AS LOW AS 2.99% AND UP TO 128 MONTH FINANCING AVAILABLE ON APPROVED CREDIT!!! The history of the name itself begins with Rapp Motorenwerke, an aircraft engine manufacturer. In April 1917, following the departure of the founder Karl Friedrich Rapp, the company was renamed Bayerische Motoren Werke (BMW). ... The resulting orders for IIIa engines from the German military caused rapid expansion for BMW. Message: Thought you might be interested in this 2015 BMW 7-Series.